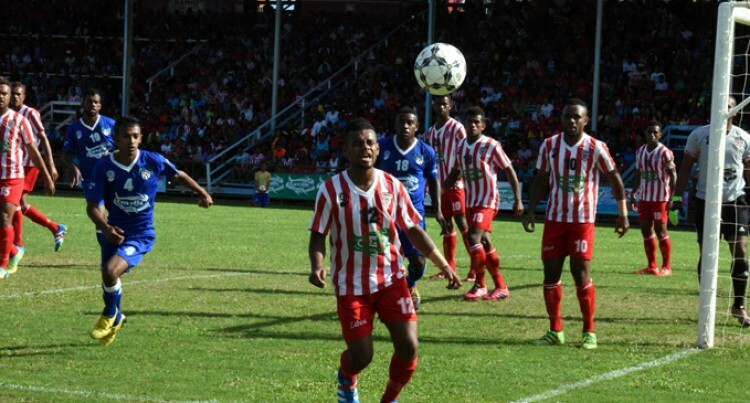 Labasa football captain Akuila Mataisuva said Lautoka deserved to win the INKK Mobile Battle of the Giants yesterday. The Babasiga Lions goalkeeper was gracious in defeat after the 2-0 loss in the final at Ratu Cakobau Park, Nausori. “We respect Lautoka and thank them for the job well done. “We got our chances but we didn’t utilise it but I congratulate my boys for reaching the final,” Mataisuva said. The Northerners will now go back and regroup for the Vodafone Premier League and the Inter District Championship next month. Labasa Football president Rayaz Khan pleads to Labasa fan to keep supporting the team.